Last year I posted about scaring a groundhog behind our house. It surprised me when it ran up a tree to escape my rantings. Story and pictures here. 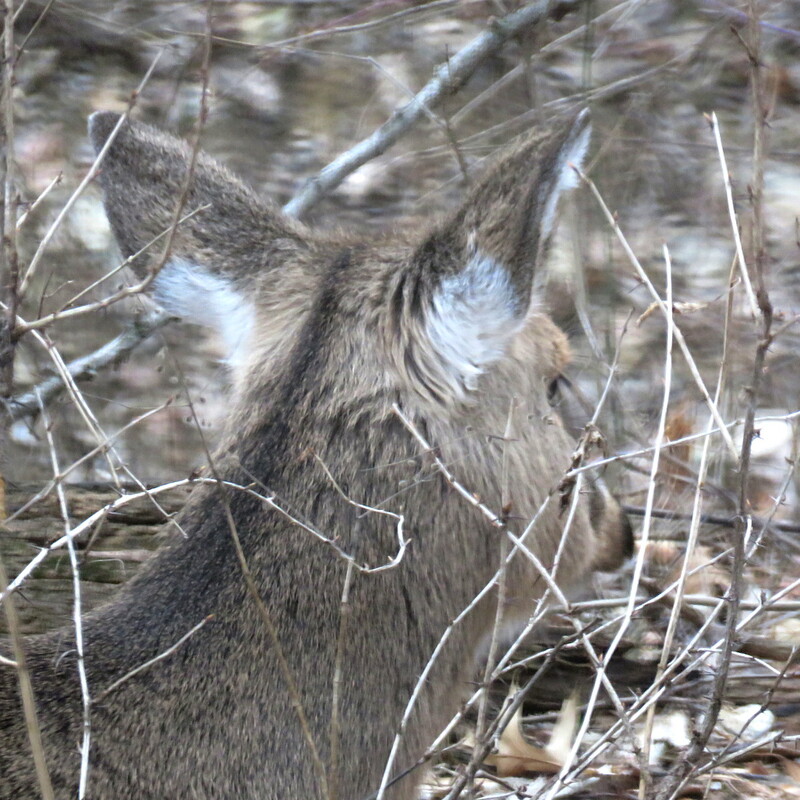 Today we looked out the back and saw an equally unusual sight. A groundhog had climbed about 20 ft up a sloping tree to get to some Mulberry leaves, one of their favorite foods. This entry was posted in Backyard and tagged Groundhog, Nature on June 10, 2018 by Jim R.
The sun was low in the east as I returned from a morning walk. Dried weed stalks from last year stood 3-4 ft tall between me and the sun. 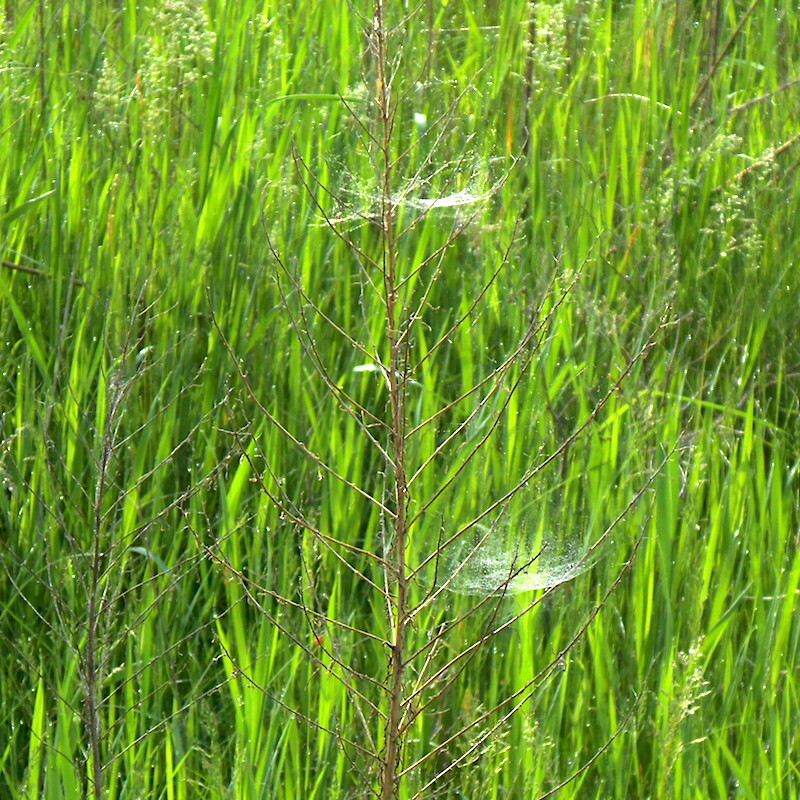 Near the top of many of them were small spider webs about 3-5 inches across. Each was covered with dew drops reflecting the sunlight. They deserved a closer look. 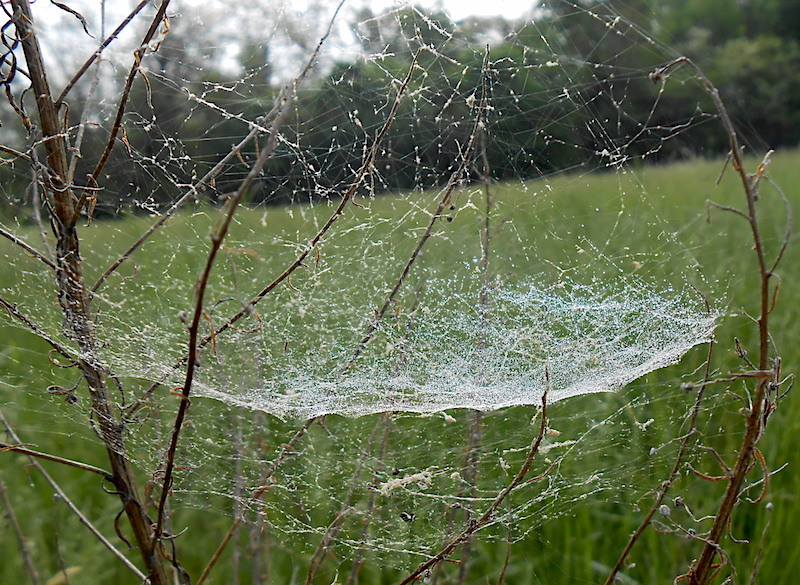 As I peered down for a better look, I wondered if the spider architect was sitting anywhere nearby? I couldn’t see any spider on this one. Moving to another plant, I got down on one knee and noticed the lower angle of the sunlight caused it to reflect better showing the structure more clearly. It was a tangle of strands. Still no spider was visible. 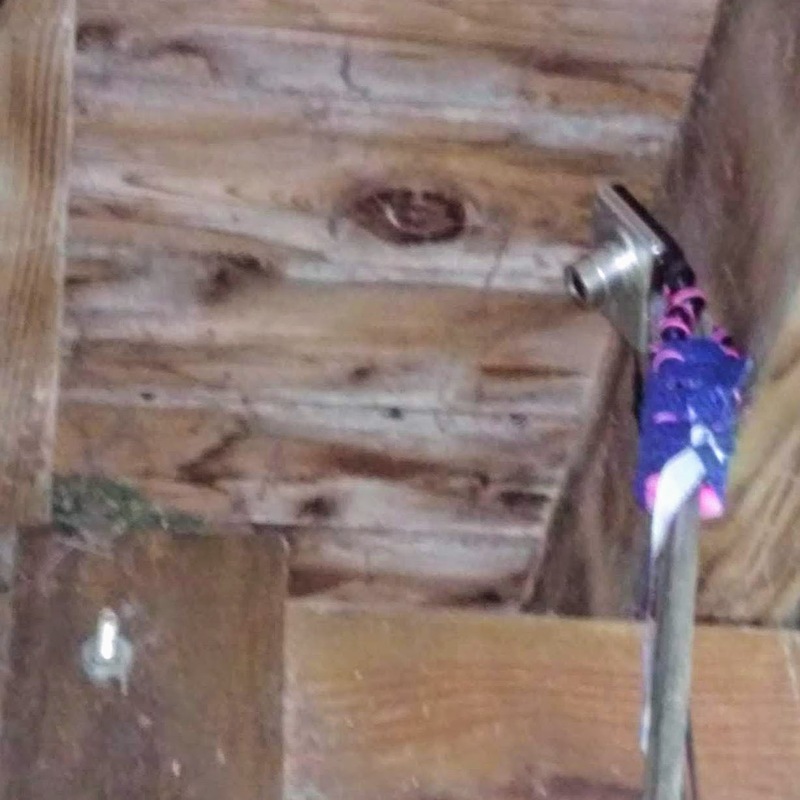 I bent farther down to look under the web and found the spider hanging upside-down. Very clever of you. 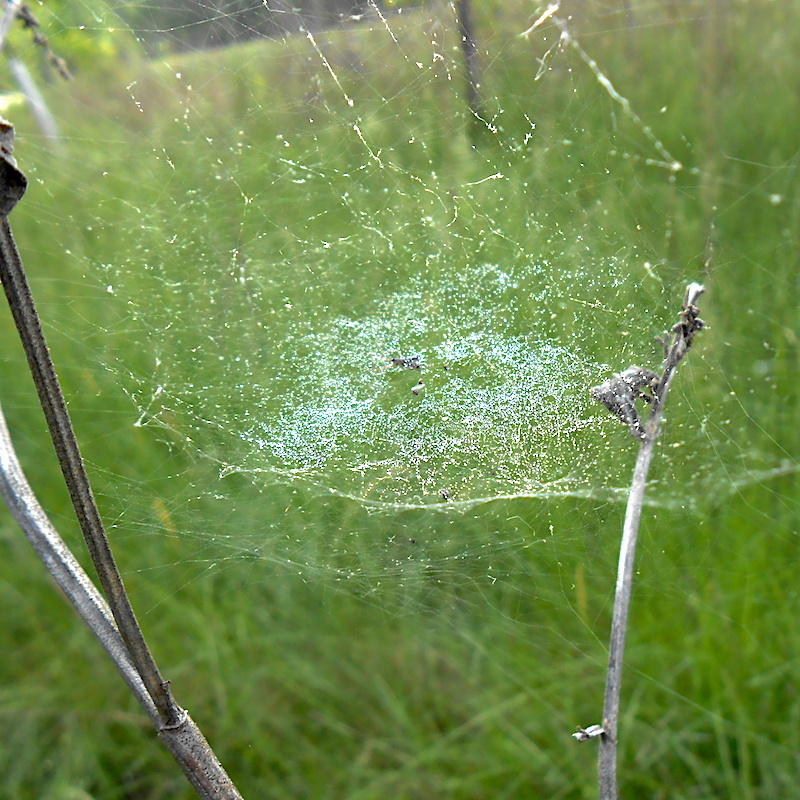 This entry was posted in Backyard and tagged Insect, Nature, Spider, Spider Web on May 23, 2018 by Jim R.
Update: Under the blue divider is the original post about our new Phoebe neighbors. 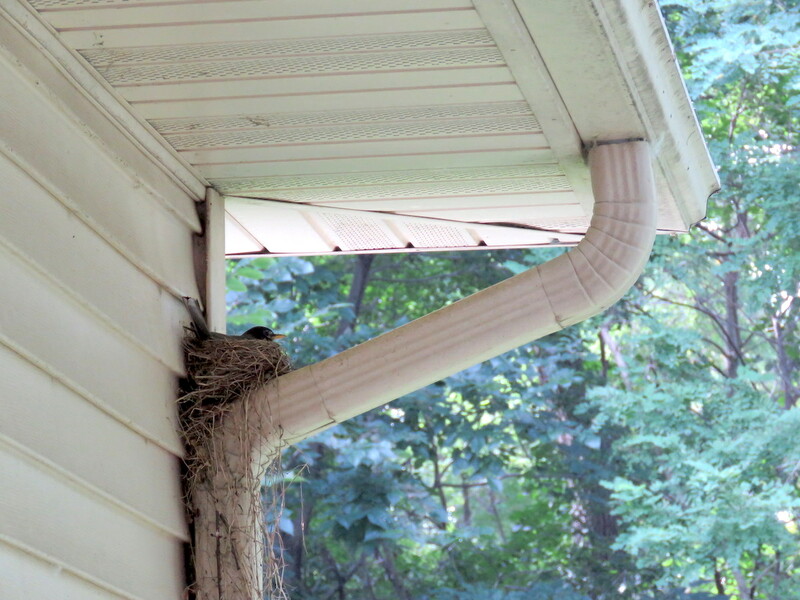 They built a nest under our deck as pictured at the end of the original post. 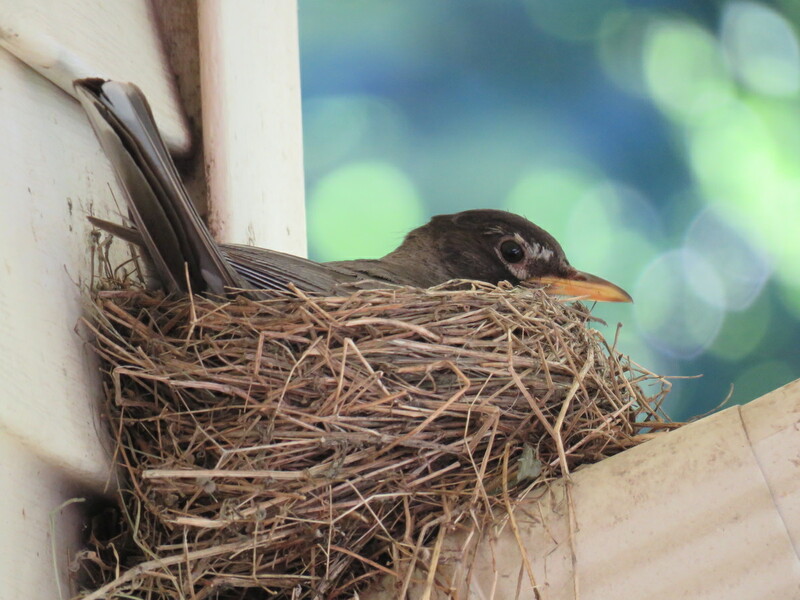 I noticed one of the birds sitting on the nest a few days ago and wondered if there was a way to see the eggs. 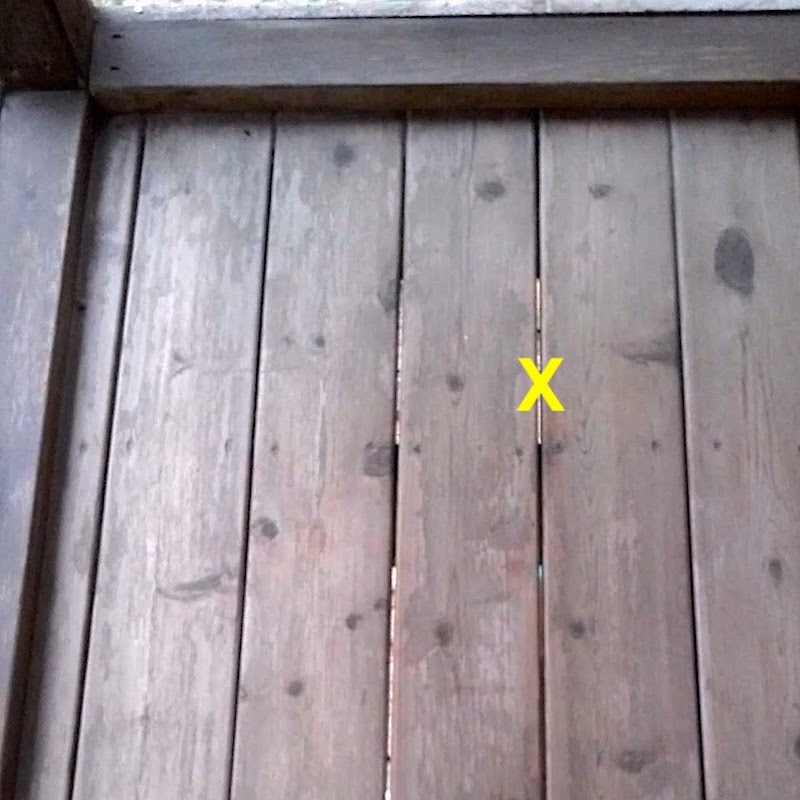 Seen from above on the deck, the nest is under the X. I quietly bent down and was able to barely see through the 1/4″ crack to the nest. I placed my phone over the crack and turned on the camera. The lens is tiny and was able to peer through to the nest. What a pleasant surprise. 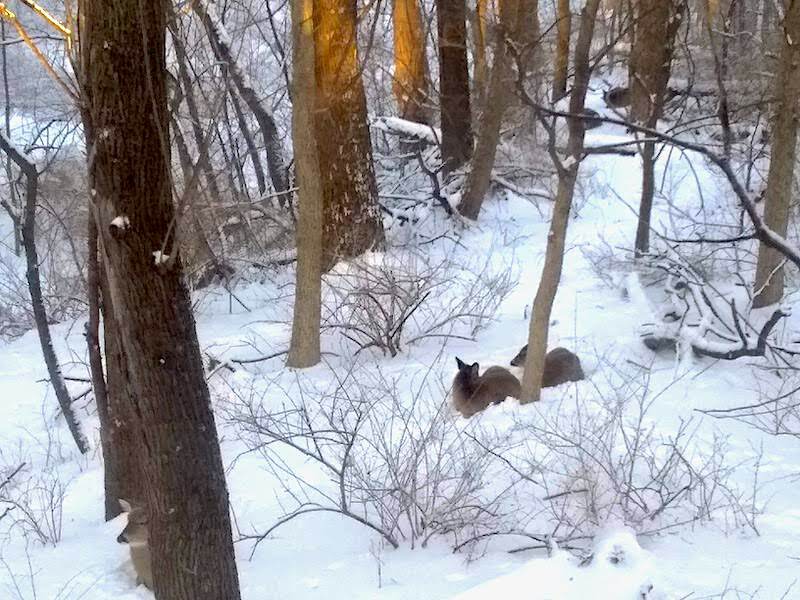 Original: We enjoy the usual avian visitors to the woods behind our house. There are cardinals, chickadees, nuthatches, woodpeckers, flickers, etc. 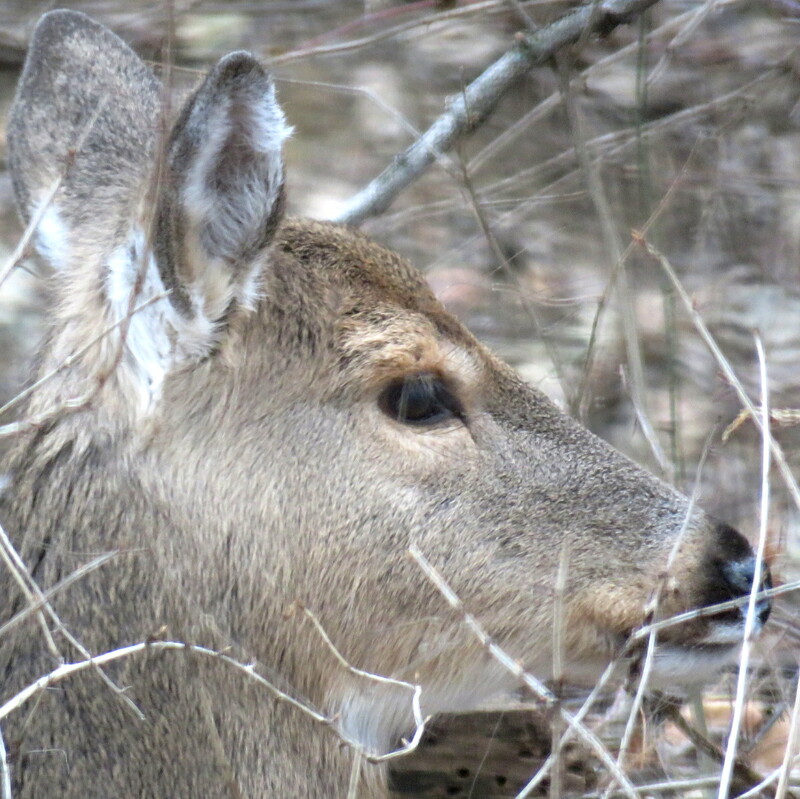 who are year-round residents. Others are passing through during migration in fall and spring. 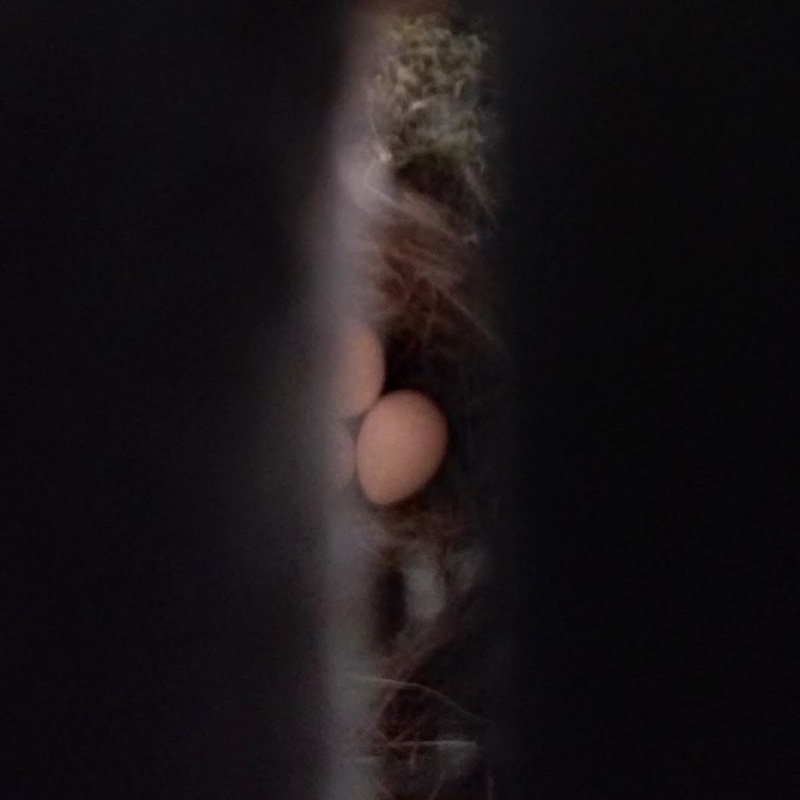 This year, we have the nest of an Eastern Phoebe Sayornis phoebe under our deck for the first time. We hope it proves to be a good location for them so we can monitor the progress of their young. 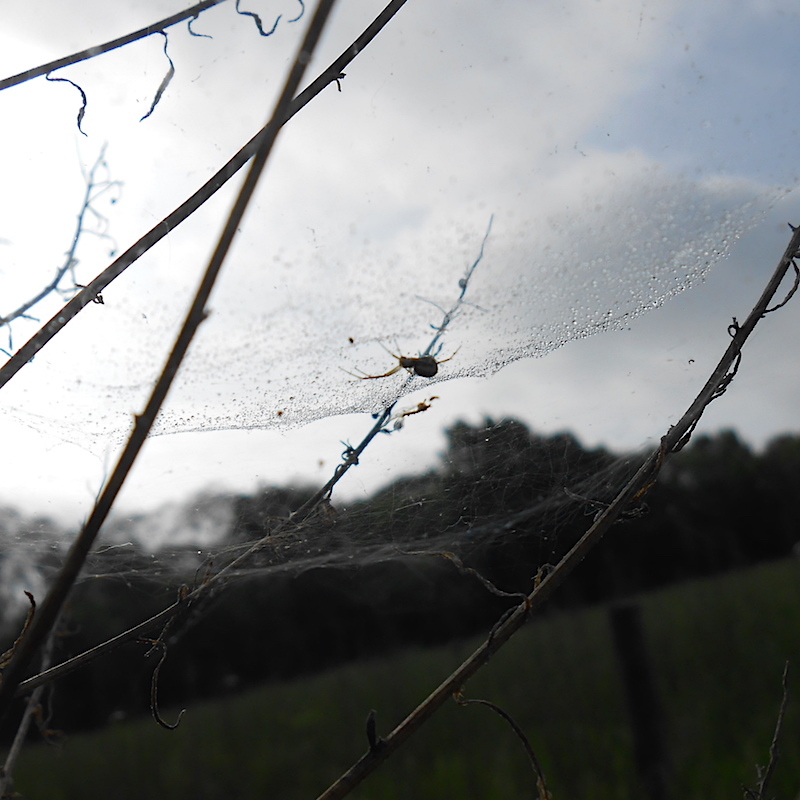 See the thread or cobweb across the side of the head. 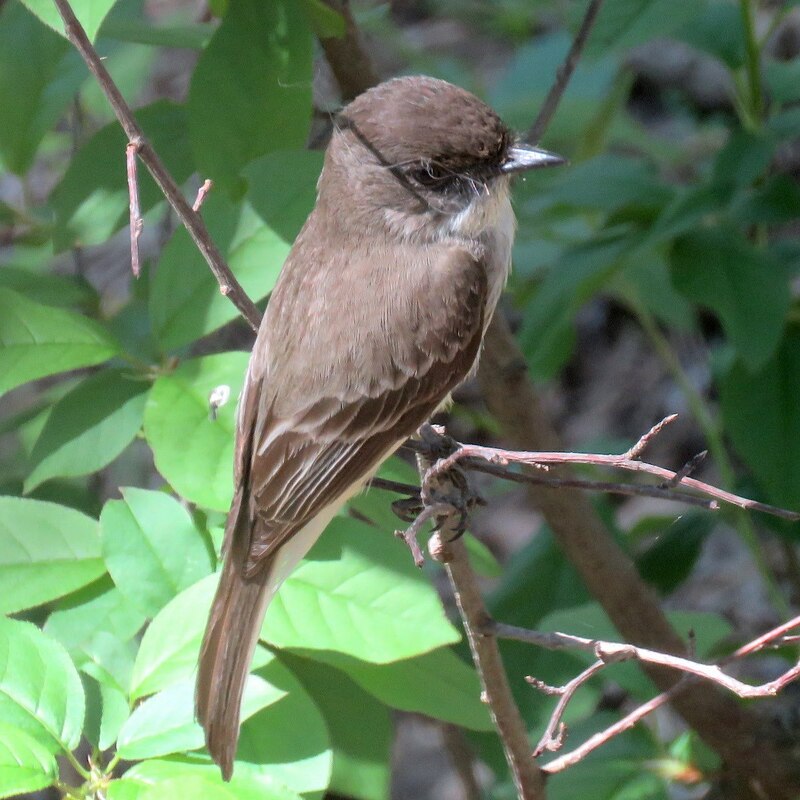 This entry was posted in Backyard, Birds and tagged birds, Birdwatching, Eastern Phoebe, Nature on May 20, 2018 by Jim R.
We enjoy the usual avian visitors to the woods behind our house. There are cardinals, chickadees, nuthatches, woodpeckers, flickers, etc. who are year-round residents. Others are passing through during migration in fall and spring. 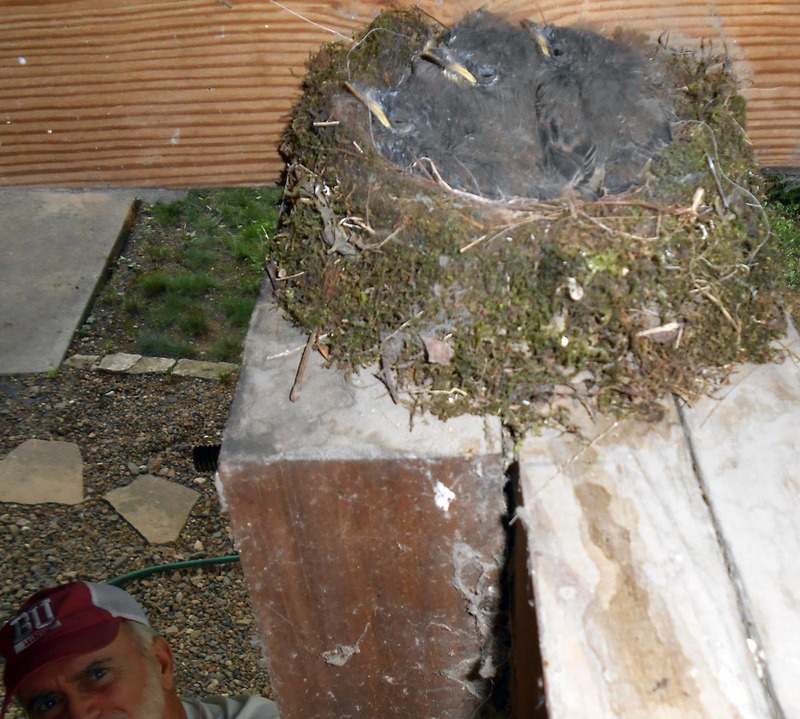 This year, we have the nest of an Eastern Phoebe Sayornis phoebe under our deck for the first time. We hope it proves to be a good location for them so we can monitor the progress of their young. 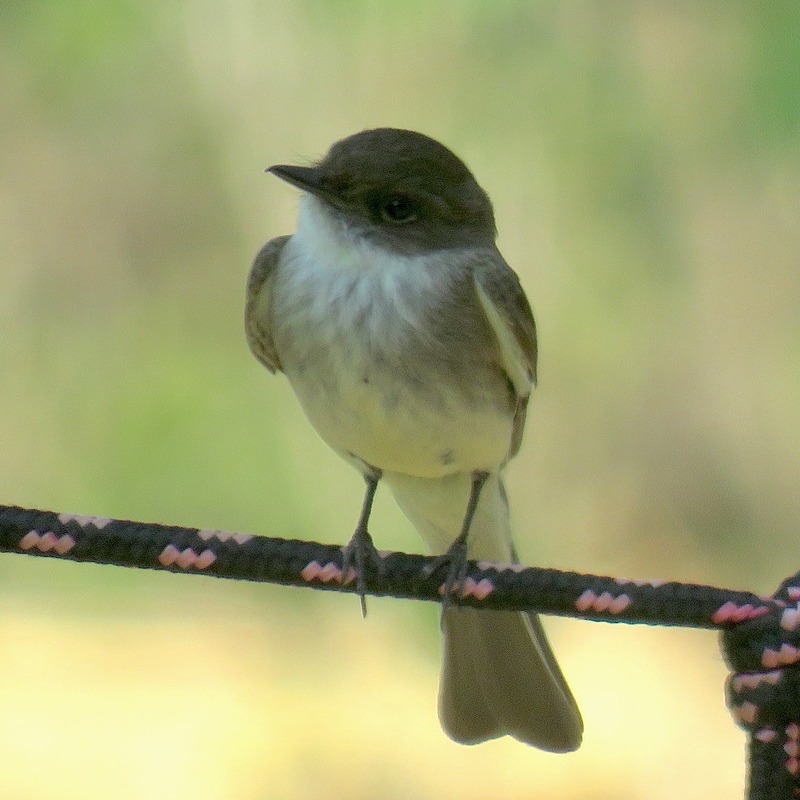 This entry was posted in Backyard, Birds and tagged birds, Birdwatching, Eastern Phoebe, Nature on May 11, 2018 by Jim R.